In case you missed it, I announced something pretty big on social media last week. I started a podcast! Starting a podcast has been on my heart for a while, but I finally decided to kick my booty into high gear to create this for y’all. The podcast is called The Happiness Looks Like Me Podcast, and it’s all about my journey to being more happy, healthy, and creatively fulfilled in a social media world. Last week, I debuted Episode 0, which was an introduction episode, but today Episode 1 launched. Every Monday, I will be sharing the most recent episode with y’all along with show notes which will help you enjoy each podcast whether you like podcasts or not. Let’s delve into today’s topic, shall we? 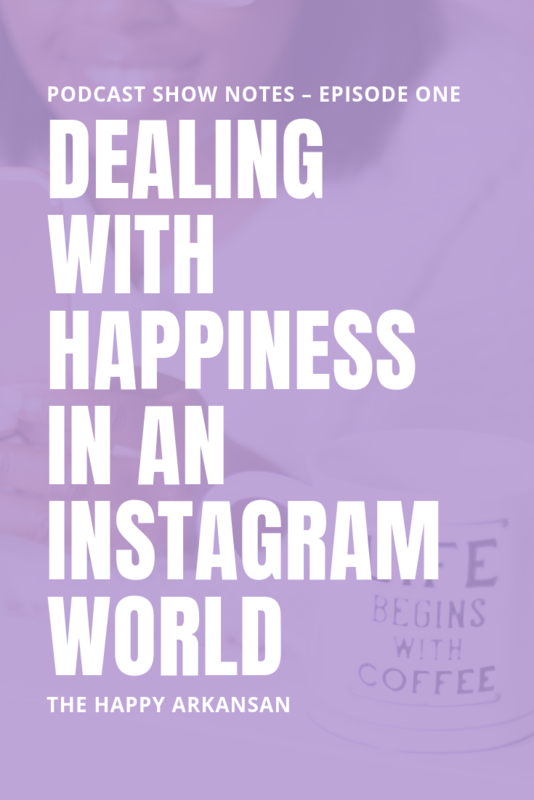 Today we are talking about dealing with happiness in an Instagram world.